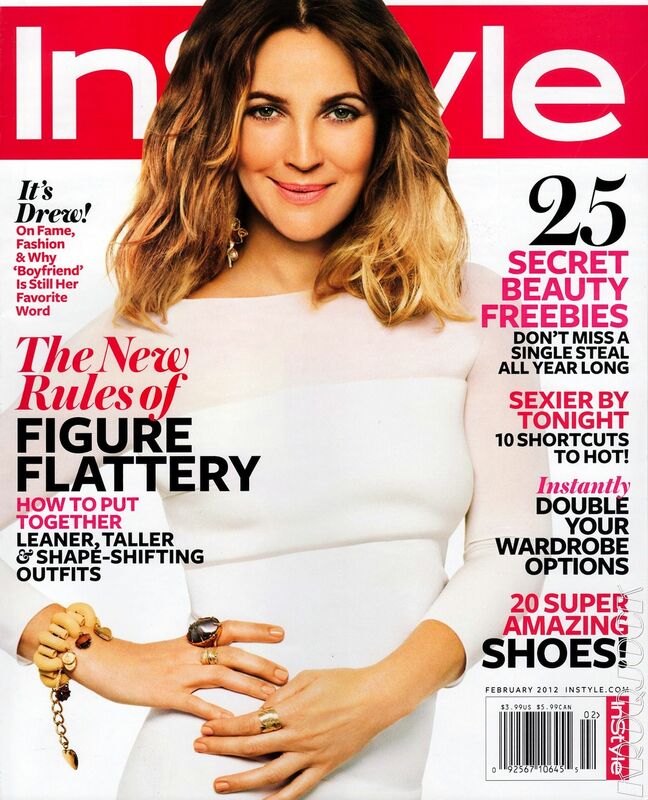 36 year old Drew Barrymore is landed her sixth cover for InStyle US as she’s photographed by Andreas Sjödin and styled by Alicia Lombardini in a white Max Mara dress from the Spring Summer 2012 collection. Click here to view last year cover featuring Natalie Portman and here for 2010 cover featuring Heidi Klum. This entry was posted on Monday, January 9th, 2012 at 5:35 AM	and tagged with Alicia Lombardini, Andreas Sjodin, Drew Barrymore, InStyle US, Lindsey Wixson, Max Mara and posted in Actors and Actresses, Cover, Magazine, Models, Movie Directors, Photographers, Stylist. You can follow any responses to this entry through the RSS 2.0 feed.